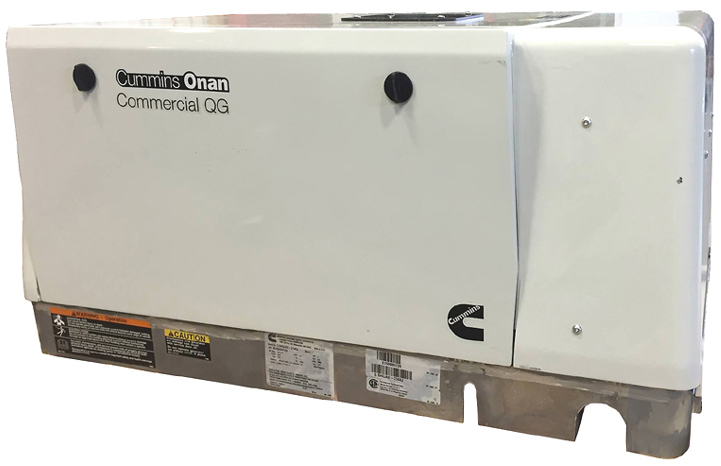 Cummins Onan Quiet Propane Series RV QG 5500 RV Generator Set - This brand new Cummins Onan QG5500 RV propane generator is fully enclosed and provides exceptionally smooth, quiet operation. 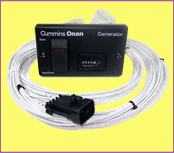 Starts and runs one or two 13500 BTU air conditioner with power to spare. 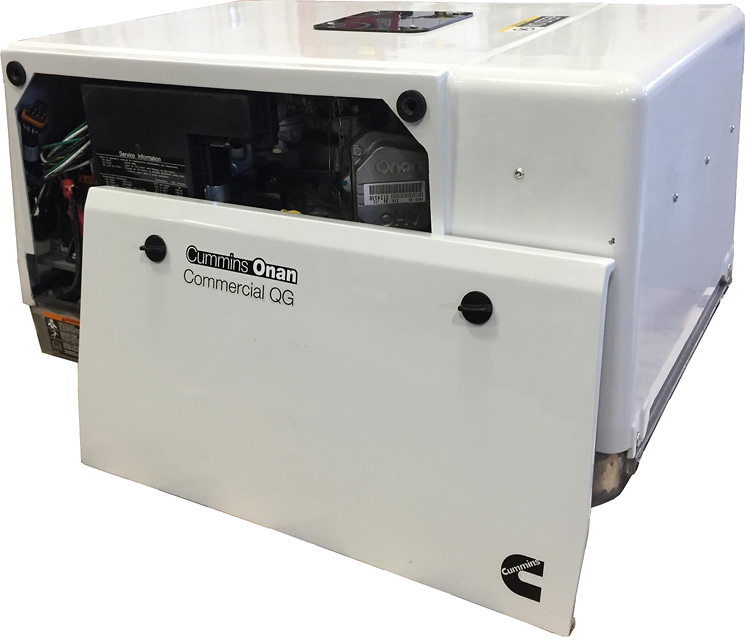 This unit features a premium V-Twin engine in the Cummins Onan EH65V. 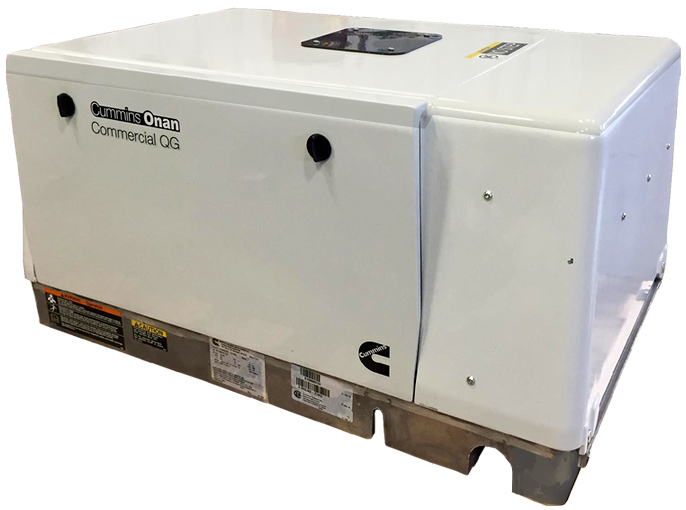 This generator is equipped with a digital voltage regulator, electric fuel solenoid, USDA-approved spark arresting muffler, electric start and a 3-year warranty.